Making a skirt on a rainy day. Yesterday it seemed to rain and rain, well whenever I poked my head up from the task in hand it was. I however was cosy in my large kitchen, all set up for a day of sewing. A work counter was cleared for cutting out, on one side of the kitchen table sat my sewing machine and the other sat my serger. My fabric was primed and ready (ie. pre washed) and I was ready to go. I started about midday and at about five thirty I had this. 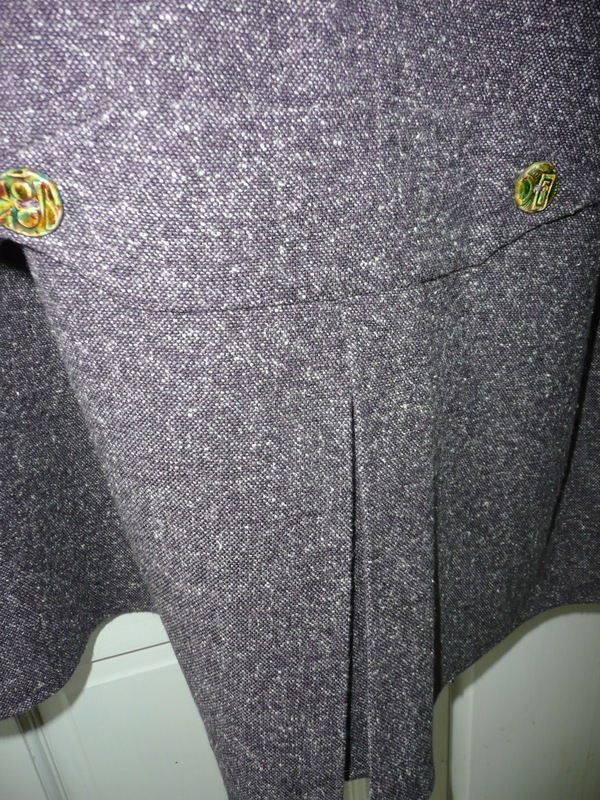 A lovely long, fitted, tweed skirt with a kick pleat, fully lined with an invisible zip. It fits as nicely as it looks. Full length of the back. 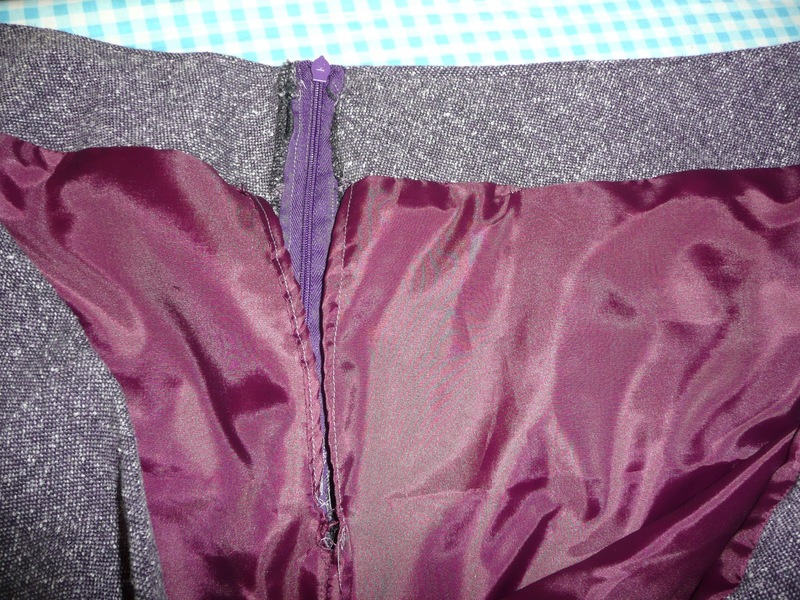 With a detail you can barely see (sorry about the photography) which is to cover the line of stitching you need for the pleat, decorated with two handmade buttons bought from Debbie Abrahams at a show. An invisible zip, which looks wonderful, but we are not going to talk about that because I am still having nightmares about it. Lets just say it looks good now, but the dog was keeping his head down at one stage during the afternoon. 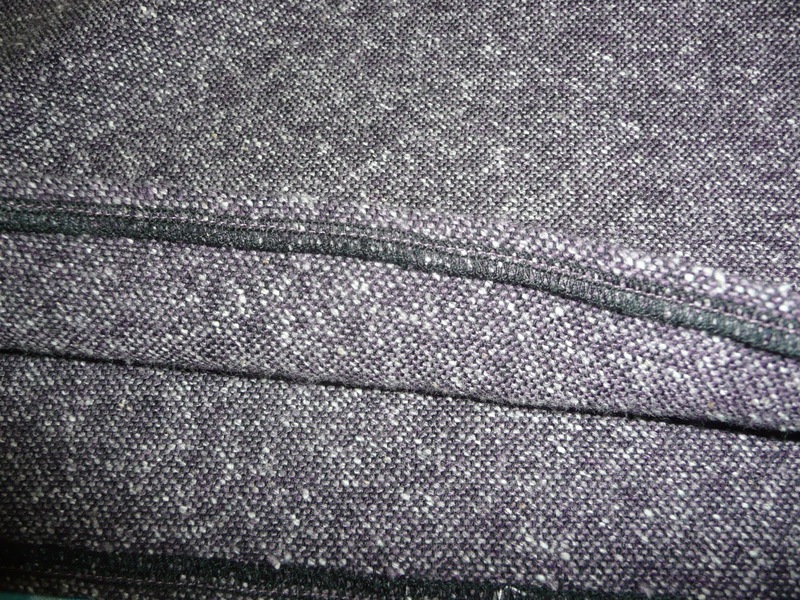 A good view of the interfacing which is under stitched which is a nice trick when you know it and the lining is attached to the interfacing. A kick pleat in the lining so that it works fully with the skirt and allows freedom to gaily skip down the road showing off your new skirt. 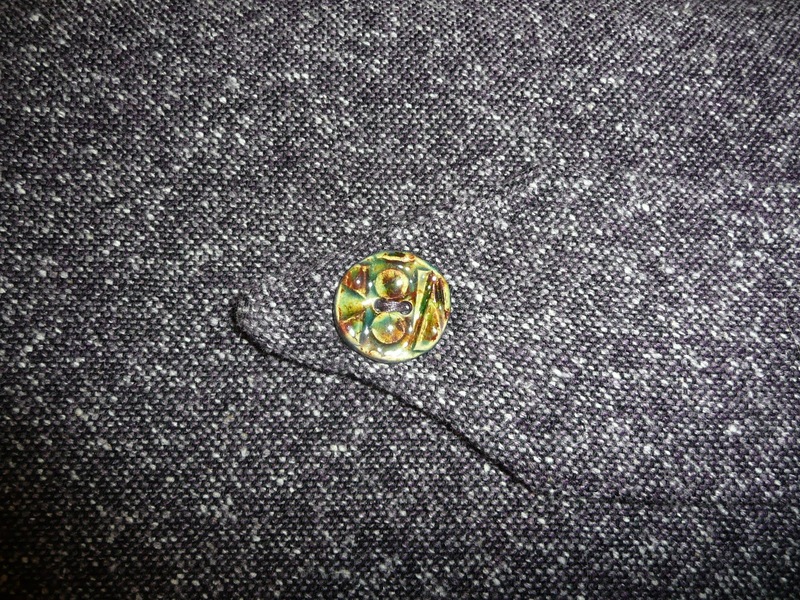 A close up of the very pretty button, I like the contrast. 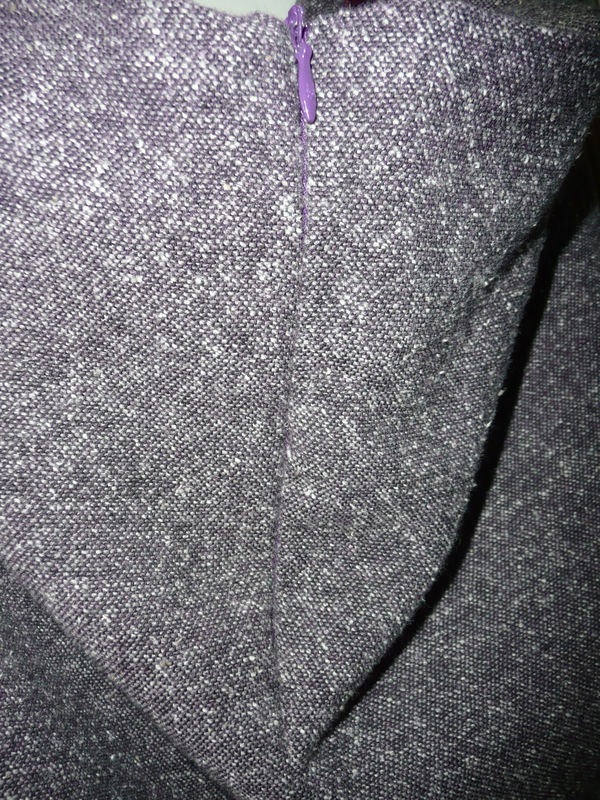 And a quick peek at the hem, which is overlocked and then flipped up and sewn by machine. 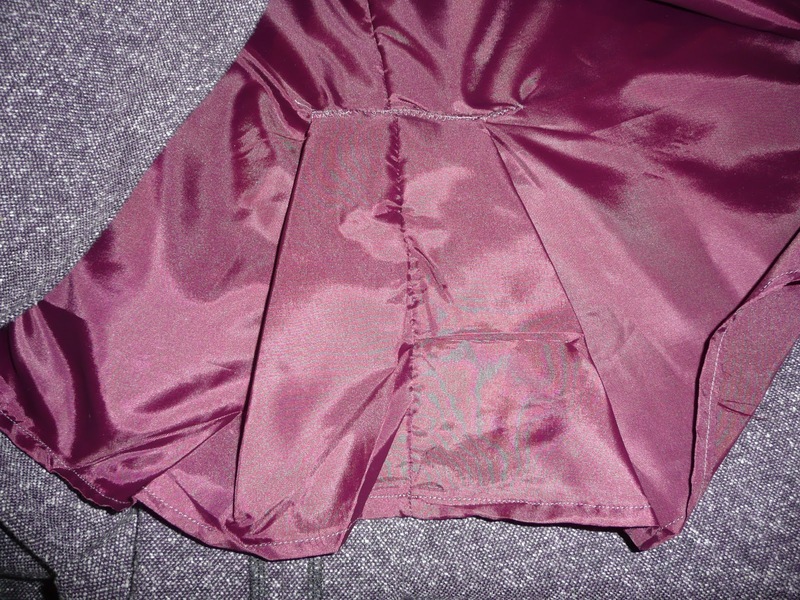 I was considering hand sewing but the thread so closely matched the fabric that I don’t think the skirt loses anything by the hem being machine sewn. 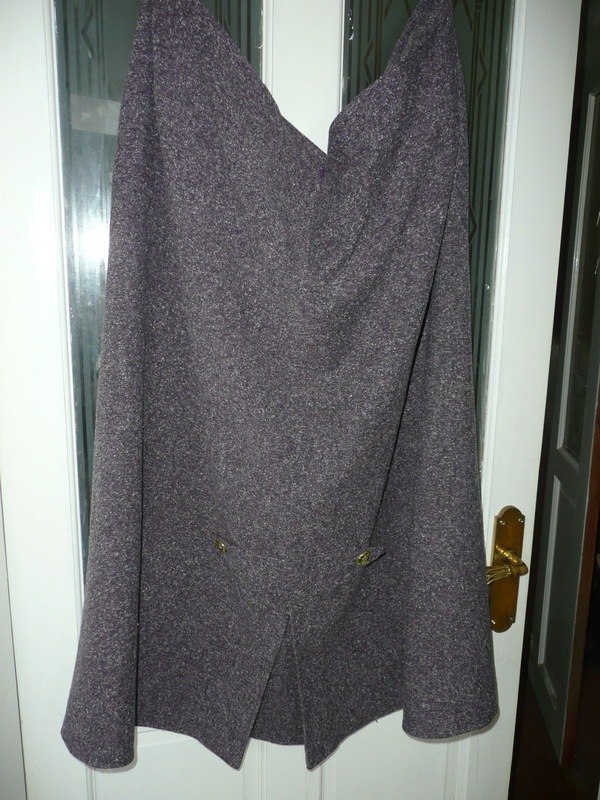 I have enough fabric left to make a jacket – hopefully this will be something I have mastered by this time next year, they may never be worn at the same time! 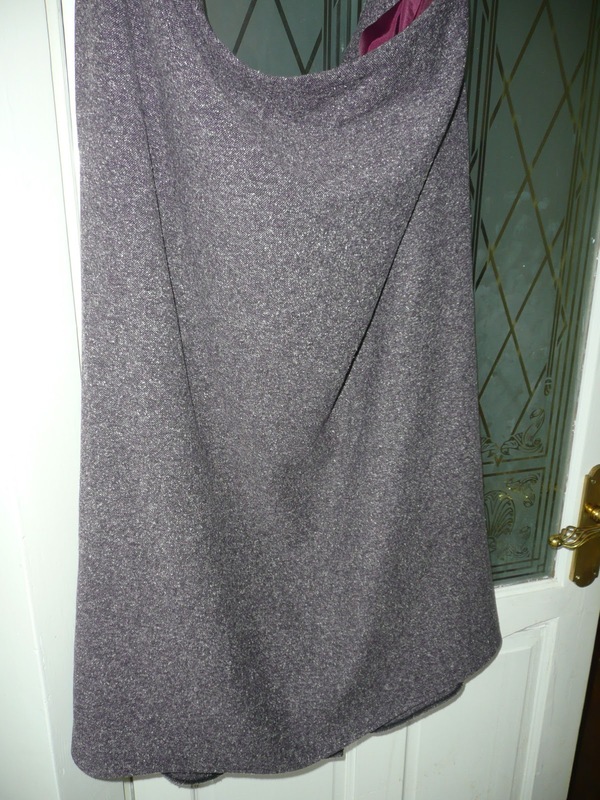 But at the moment I am enjoying skirts, there is more fabric prewashing as we speak. The Hobby and Stitch International Trade show. You are such a talented lady. You put my (very minor) knitting skills to shame. Your skirt looks lovely, very professional. I'm sure you'll enjoy wearing it!